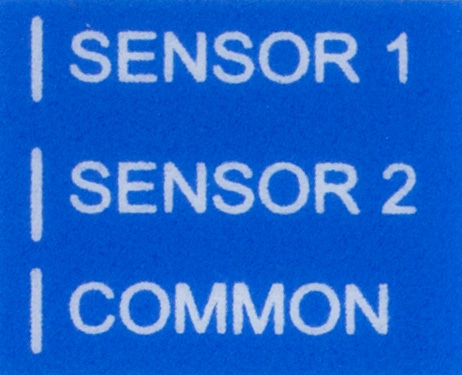 Hydrawise supports most open/close contact type of sensors such as standard rain sensors and soil moisture sensors. Connect the Normally Closed or Normally Open wire from the sensor to SENSOR1 or SENSOR2 on the controller and configure in the Hydrawise app. Once you've wired your rain or moisture sensor don't forget to configure it in your Hydrawise account. For full details, refer to the instructions provided with your sensor or flow meter. See Configuring Sensors for instructions on configuring the controller for a sensor from the app.